Sick of the same old, boring stuff? Then this is for you! All pictures by Medic. Have you gotten bored with playing the same old classes with the same old playstyles? Tired of playing the trolldier, the axdegreaser pyro, the gunslinger engy, and the scout? Want to spice up the rest of the Halloween update? I have not one, but TWO, I repeat, TWO new fun playstyles just for you! 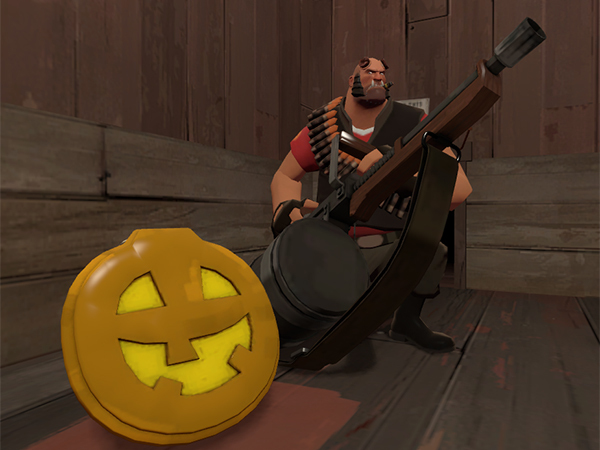 The heavy gets a bad rap. Easy to play as, low skill ceiling, etc. I admit that I rarely play the fat man, but pulling him out every once in a while can be a lot of fun. The point of this heavy is to move around the battlefield, camp near a medkit, and destroy all the low-health enemies trying to heal themselves. The silent spinning of the Tomislav really helps you to stay as concealed as a big fat guy can be concealed. You still do a decent amount of DPS, and since you are most likely going to be going up against low-health enemies, you should easily be able to finish them off. What I do is go to a any health kit, since tdm_hightower_event tends towards anyone from any team having easy access to all the health kits. I then conceal myself, rev up, and blast anyone who comes near me. After two or three kills, or 30 seconds after my first kill, I move to another medkit, using the GRU for extra speed, and do it all again. Wait, How is this effective? You wouldn’t think that this is very effective, but it really is. The heavy has two hard counters, snipers and spies. This nullifies snipers, because most of the health kits are concealed from long sightlines that snipers frequent. It also mostly nullifies spies, because anyone paying ANY attention at all will notice a spy sneaking up on them as they wait. I have done this for several hours, and I have yet to be killed by either a sniper or a spy. Soldiers and demos can be a problem, but the fact that they are most likely low on health, combined with your large healthpool, and the element of surprise (if you do it right), you should be able to take down pretty much anyone. If you get low on health, steal the healthkit or retreat around the corner for a snack. Scouts have no chance against you, and pyros might be able to get one swing of the axtinguisher in before you riddle their corpse full of bullets. Medics and Engineers are just targets. Other heavies can give you trouble only if they have full health and are already revved up when they encounter you. I have only ever been taken down by a crocket, crit pipe, or having to face multiple enemies. Of course, since “teamwork” and “TF2” rarely go together, you don’t face that last situation very often. Any of the healthkits near where the carts start from. The healthkit under the middle tower near the cart ending spots (not the bottom kit, but the one above it). You’d think that pyros would just airblast you into the pit, but that hasn’t happened to me yet. Build that sentry, then get the hell out of there! This loadout is potentially almost as annoying as the gunslinger, but it takes a little more skill to use. The point of the Genius Engineer is to move around the map, plant a lvl 1 or 2 sentry around a corner or in a relatively secluded location, and use your eureka effect to go back to your spawn and get out of sticky situations. What I do is go to a secluded location, plant my lvl 1, and start whacking it until it is a lvl 2 sentry. If an enemy finds me before then, I immediately leave my sentry and use the taunt to get out of there, back to my spawn, with full health and ammo. If I manage to get it to lvl 2, I will move around, trying to bait a poor pyro or soldier or scout to my sentry, and watch them get torn to shreds. A non-gunslinger engineer who moves around. What? This isn’t a defensive playstyle, nor is it offensive. It isn’t even really area denial. It is intended to be annoying and to keep the opposing team guessing. 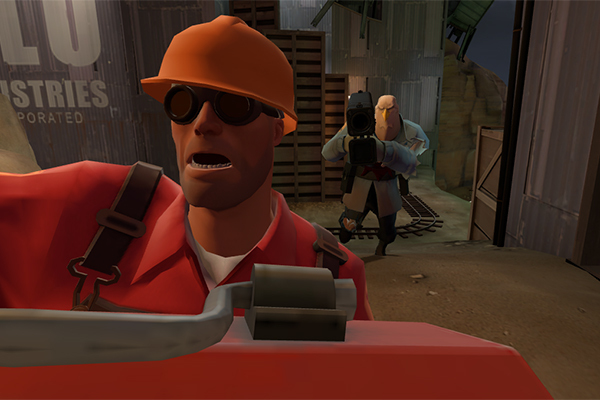 Think about it: You manage to destroy a lvl 2 sentry in the back corridor behind the towers, then a minute later you find another one near the full health kit next to the cliff! I usually get 1-2 sentry kills before it is destroyed, and copious use of the eureka effect taunt allows me to almost immediately get another sentry up. I have found that I get a lot more kills having a lvl 1 or lvl 2 sentry than if I had the gunslinger, at a slight cost of set-up time and ammo cost. However, the ammo cost is largely negated by using the eureka effect taunt. This works really well on tdm_hightower_event, since there is almost no teamwork, most players are on their own, and the map has some great spots that will get you some sweet kills. Also, there aren’t really any anti-sentry spells. Note: If a heavy appears, I usually have an offensive spell ready (fireball, bats, etc) to help my sentry out, but if it doesn’t work, bail! Next to the healthkit under the middle tower near the cart ending spots (not the bottom kit, but the one above it). These playstyles can be a TON of fun! I have gotten so many kills by doing these, and it really is a break from the tried-and-true ho-hum playstyles that people use. These both seem awesome. I tried them out, but the best I could do before we were all sent to Hell was… pretty much nothing. I wish people would stop playing the objective.